Before the start of the 2019 long-distance racing season, here is a subjective list of trends and athletes to look for. I’m sure that there will be more athletes that are going to impact racing this year, so apologies in advance to anyone who isn’t mentioned! Last year’s post had a long list of athletes that were getting ready for their debut race on the IM distance. Some of them (e.g. Anne Haug, Sarah True) had great first seasons and huge results in Kona, some did well but maybe not quite as well as expected (e.g. Javier Gomez), some even struggled to qualify or even had to postpone their debut race and missed Kona qualifying (e.g. Emma Pallant or Laura Philipp). The 2019 season is probably not going to see another influx of new names but rather a progression of athletes in their Ironman racing: Anne and Sarah have done well in Kona and will be looking to build on their Kona 2018 results. Emma will have to continue to work on her long-distance racing skills – it seems she still has to figure out proper race nutrition in order to do well in the last hour of racing. Laura has overcome her mid-season injuries and qualified for Kona 2019 with a new German fastest time in Barcelona. In addition, there are athletes who made some progress in 2018 who will work hard for an even better 2019. Lucy Charles was already second in Kona twice, she’ll continue to work on closing the gap to Daniela and stay ahead of the rest of the field in Kona. Braden Currie and Joe Skipper have had great seasons and good Kona results, both are hungry to prove that last season’s results have just been an intermediate step. And Cam Wurf – while breaking bike course records whenever he raced – has also made solid progress on his run, closing the gap to the Kona podium from 21 minutes in 2017 to nine minutes in 2018. While the German men have been dominating in Kona for a number of years (five wins in the last five years), the German women haven’t been able to have similar successes. Last year I predicted two German women in the Kona Top 10, and with Anne Haug in third and Mareen Hufe in 13th that goal was almost reached. 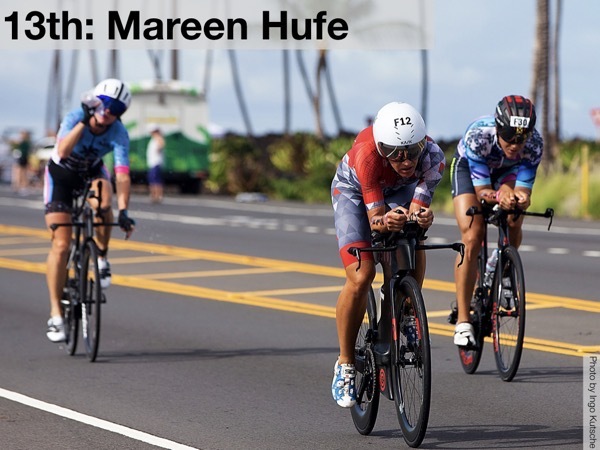 Anne and Mareen continue to race this season (Anne just needs to validate her Kona slot with an IM finish and Mareen secured her Kona slot with a win in Malaysia), and there’s another increase in strong German women looking towards a good Kona result. Daniela Sämmler posted a German record in Roth 2018, then already qualified for Kona with a win at IM Italy in September. (She’ll be racing as Daniela Bleymehl now after getting married shortly before Christmas.) Laura Philipp broke Daniela’s German record by winning IM Barcelona, and Svenja Thoes also won her IM debut in Cozumel. 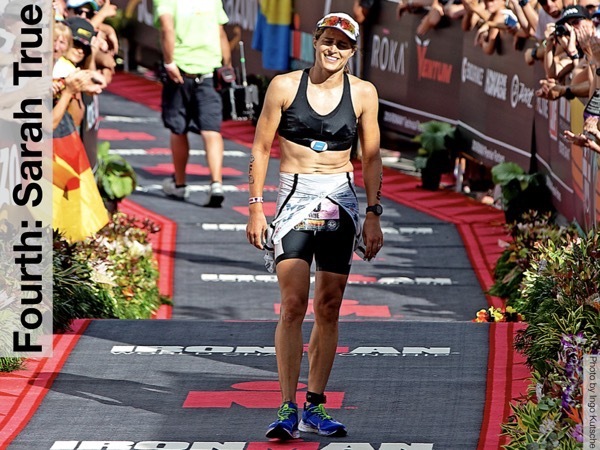 Anja Beranek (now racing again under her maiden name Anja Ippach) was fourth in Kona 2016, but she struggled in 2017 and 2018. After recovering from Mononucleosis, she is now being coached by Siri Lindley and is back to solid training for the 2019 season. Three recent moms are returning to IM racing, but Julia Gajer, Astrid Stienen and Kristin Liepold (née Möller) will need some more time to get in top shape. 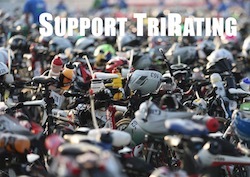 Nonetheless, things are looking quite for female IM-distance racing in Germany. Last season saw two great “return from life-threatening injury” stories with Matt Russell and Tim Don, and it would be great to see these two celebrate even more great results in 2019. This year we’re unlikely to see quite that dramatic stories, but there are a number of athletes that haven’t been able to show their full potential because they were struggling with injuries for parts of the 2018 season. Jan Frodeno had a fantastic season until September when he won every race he started, including IM Germany and 70.3 Worlds but then suffered from a hip stress fracture and wasn’t even able to start in Kona. He mentioned that another big win in Kona could have been his last race, so his 2019 is probably focused one more big bang in October. 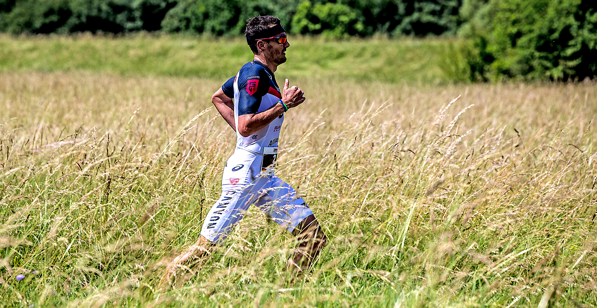 Terenzo Bozzone is another athlete who wasn’t able to race Kona after he was hit by a car and had to take some more time to properly recover from the injuries he sustained. By winning IM Western Australia he already punched his Kona ticket and indicated that his accident was hopefully just a short break of improving his Ironman racing skills. Ben Hoffman never really got his 2018 season properly going, a crash at Cape Epic kept him from racing well in South Africa, and before Kona he suffered from a stress fracture. Hopefully 2019 will see him return to the solid races he has had in the previous years, both in his qualifying races and in Kona. Boris Stein has finished in Kona Top 10 three times in a row between 2015 and 2017, but his season was disrupted just a few days before his target race IM France when he hit a cat in one of his last bike rides. He snagged a last-minute qualifying spot at IM Copenhagen, but didn’t feel good enough in his final Kona build and canceled his start. The final male athlete I want to highlight is Sebastian Kienle – after winning Challenge Roth which was the fastest 2018 time outside of Texas, an achilles niggle flared up in his Kona build, leading to a sub-standard bike and a DNF early on the run. He’s changed up a few things and I expect him to come back shooting for another Kona win this year. There were also some athletes on the female side who didn’t have a consistent 2018 season as well. Mel Hauschildt recovered from her surgery to win IM Texas (her third Regional Championship on three different continents!) but then needed another surgery on her other leg and couldn’t race Kona. Annabel Luxford managed to qualify for Kona but also didn’t race – she seemed to struggle with chest infections and that had a major impact on her Kona prep. All of these stories are examples of the fine edge between “being fit and being f*cked” (as Sebi put it before Kona) and how one little thing – often without any “fault” of the athlete – can disrupt a whole season. Hopefully struggles in 2018 are going to be offset by a better 2019 season! Who dominates in North America – USA or Canada? 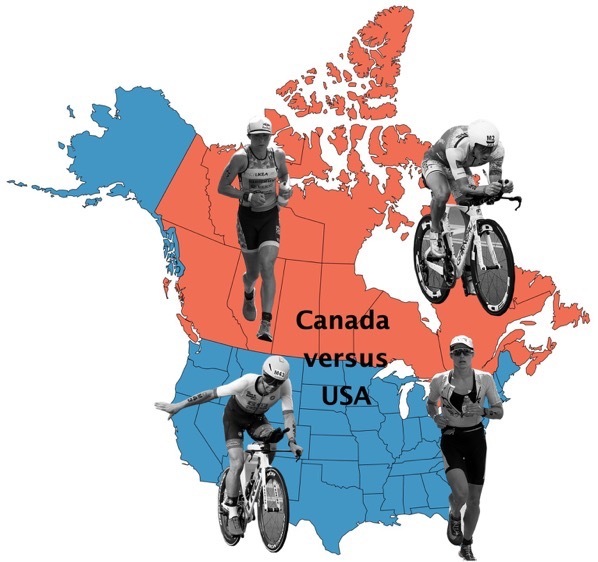 The US has been dominating the early years of Ironman racing, but the most recent North American winners are from Canada: Lori Bowden and Peter Reid in 2003. That’s a long time ago, and it’s an interesting question where the next North American winners will be coming from. On the men’s side, there have been podium results by US athletes Tim O’Donnell (third in 2015) and Ben Hoffman (second in 2014), but the closest to a Kona win was been Lionel Sanders who finished second in 2017. In 2018, the top North American finisher was again Tim O’Donnell but there is a strong contingent of Canadians we can expect to race well in Kona: Lionel will work hard to bounce back from his disappointing 2018 race, and Cody Beals has won both IMs he’s been racing so far. Brent McMahon is racing well in his qualifying Ironman races but hasn’t been quite figured out how to transfer that to Kona. There is a similar rivalry on the female side: Heather Jackson has been the top North American finisher in Kona except this year, but with Sarah True another US woman finished fourth behind three Europeans. Linsey Corbin finished tenth, followed by Sarah Piampiano in eleventh place. Other strong American women include Meredith Kessler (still working on “getting Kona right”), Lesley Smith, Lisa Roberts, Jocelyn McCauley, Jodie Robertson and Lauren Brandon – all of these have the potential for an Ironman win during the season and a good Kona result. But Canada also had a Kona Top 10 finish this year (Angela Naeth in eighth place), and with Jen Annett, Kirsty Jahn, and Rachel McBride there are a few more promising athletes. It looks to me that the US still has a few more athletes with Kona Top 10 potential, but things are pretty even when looking for the next North American Kona winner. Photo Credits: All Photos © by Ingo Kutsche, used with permission. you do not mention Caroline Steffen at all. don´t you think she would like to go back to Kona? I’m sure Caroline will be back in Kona (she’s already qualified) and that she’ll have an impact on the race.